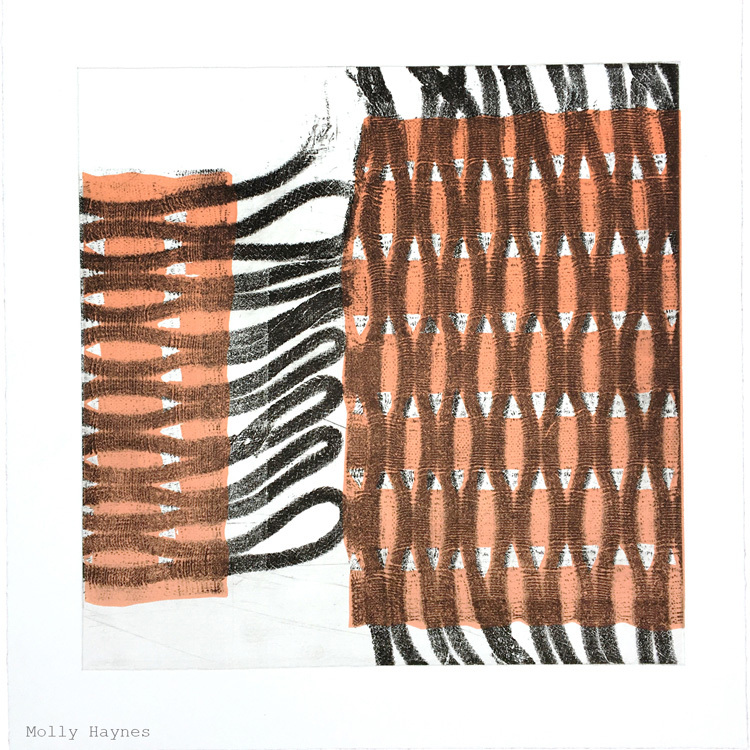 In this creative experiment, the sculptural act of the printmaking process embraces the materiality of weaving. Crossing over from loom to press, fabric to paper, the tactile functions of the cloth used are irrevocably changed and transformed, releasing new potential in the way a textile can be experienced. 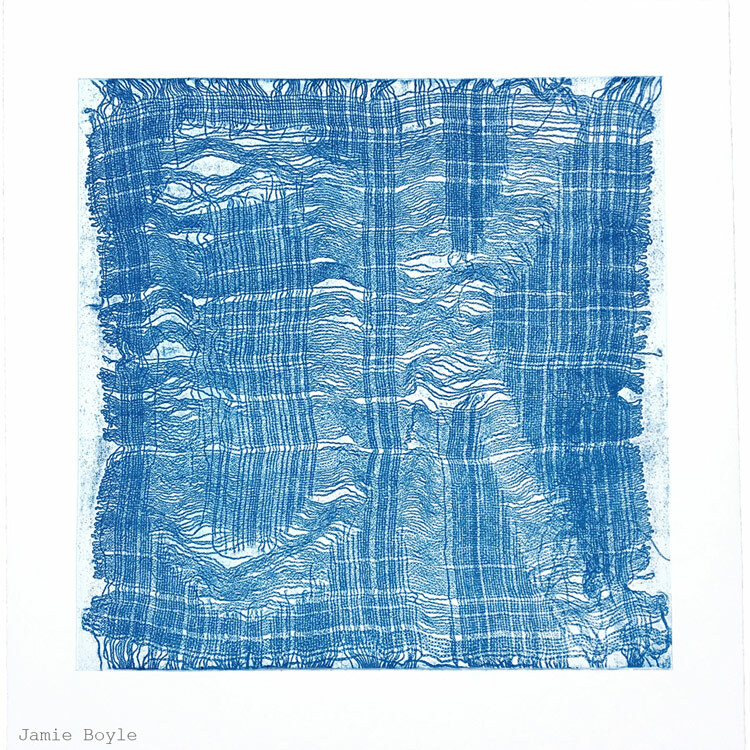 This portfolio of three etchings by Jamie Boyle, Molly Haynes and Louise Eastman is published by Russell Janis Studio and printmaker, Janis Stemmermann, featured in the post Print/Weave, October 2018. 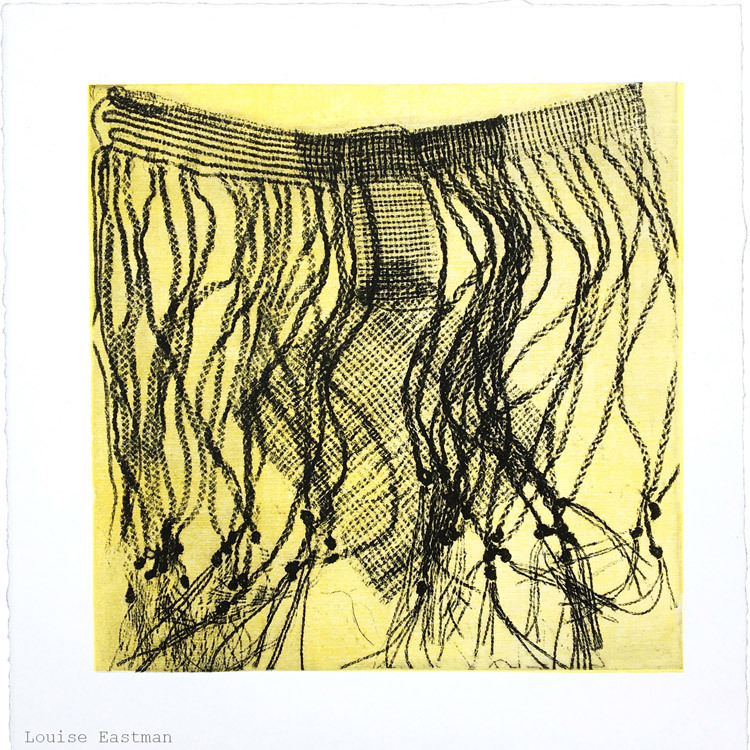 Printed in an edition of twelve on Rives BFK paper, packed in a portfolio with a colophone page, Janis Stemmermann, printmaker.